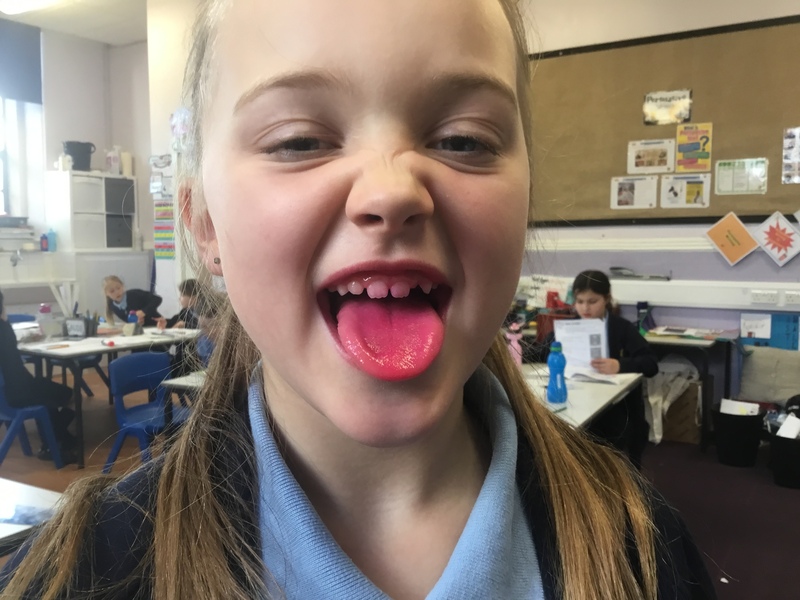 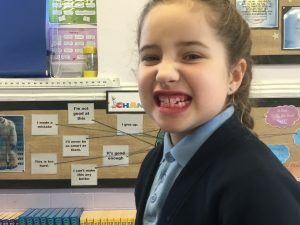 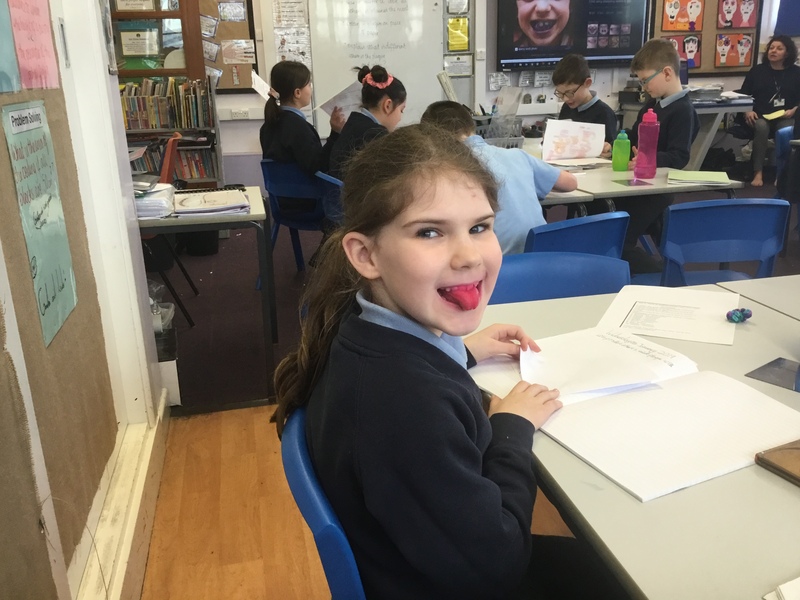 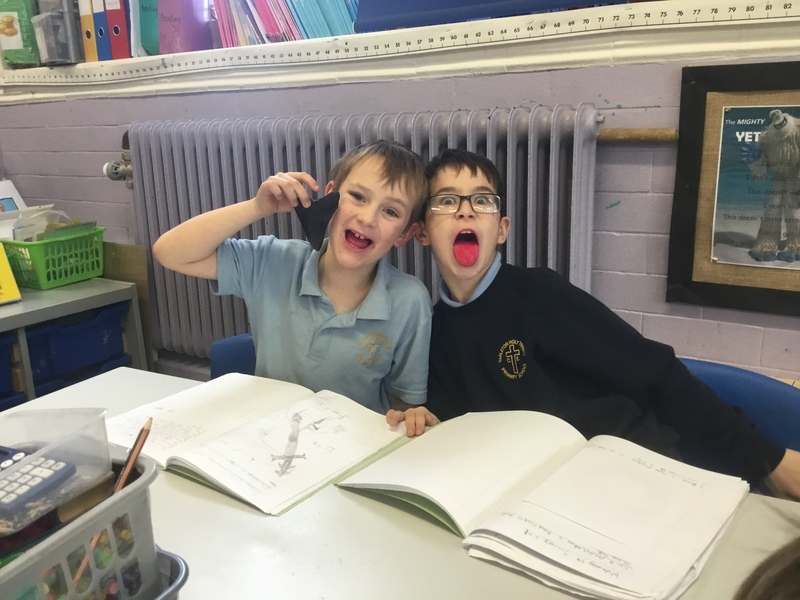 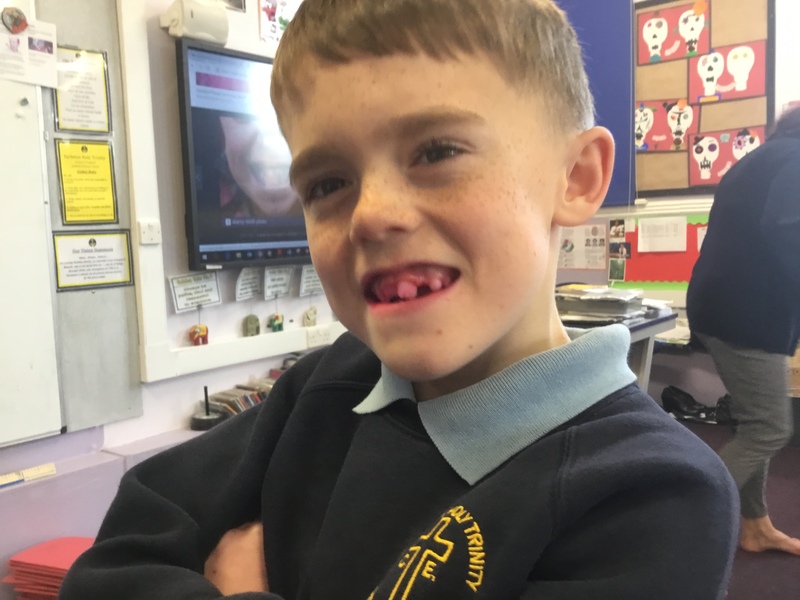 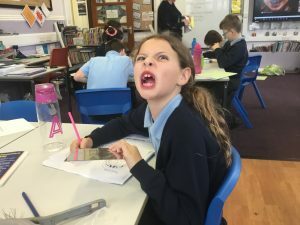 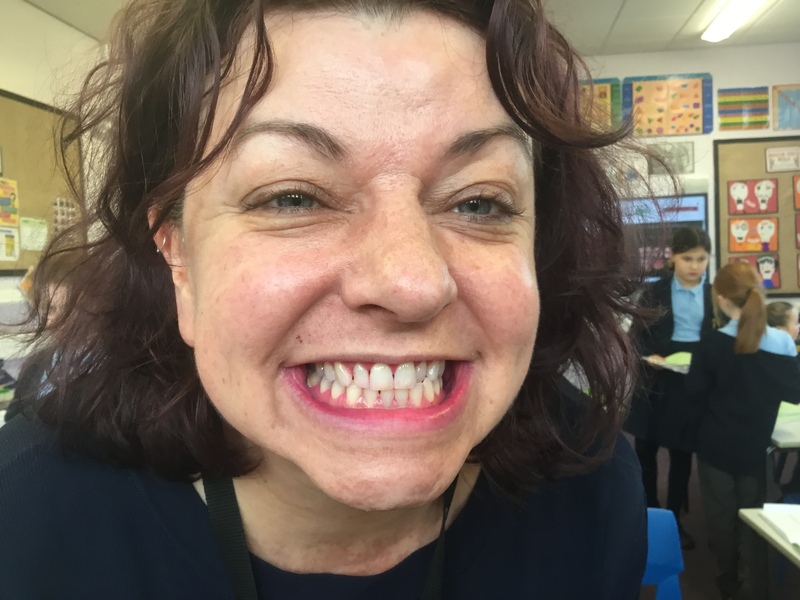 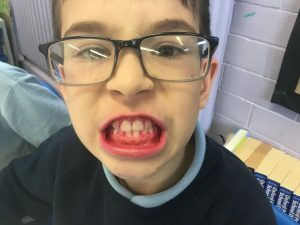 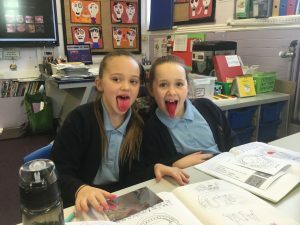 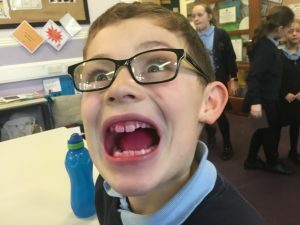 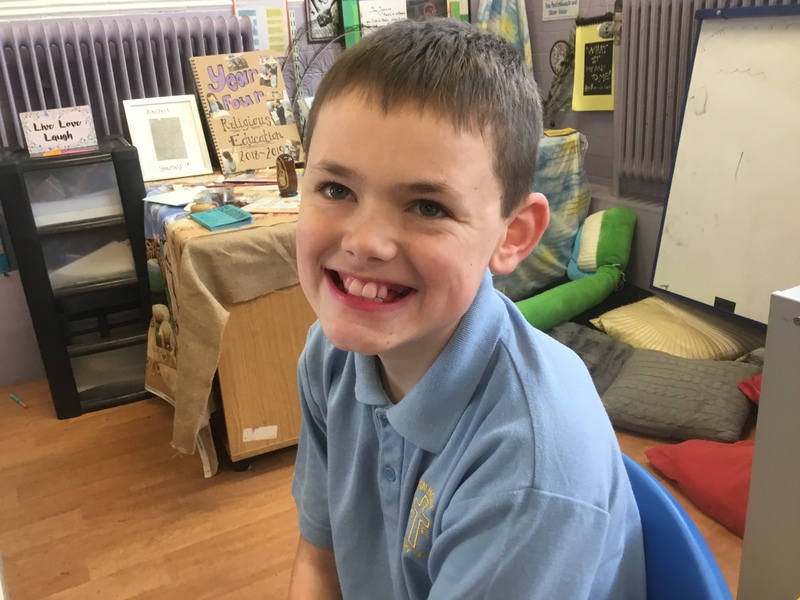 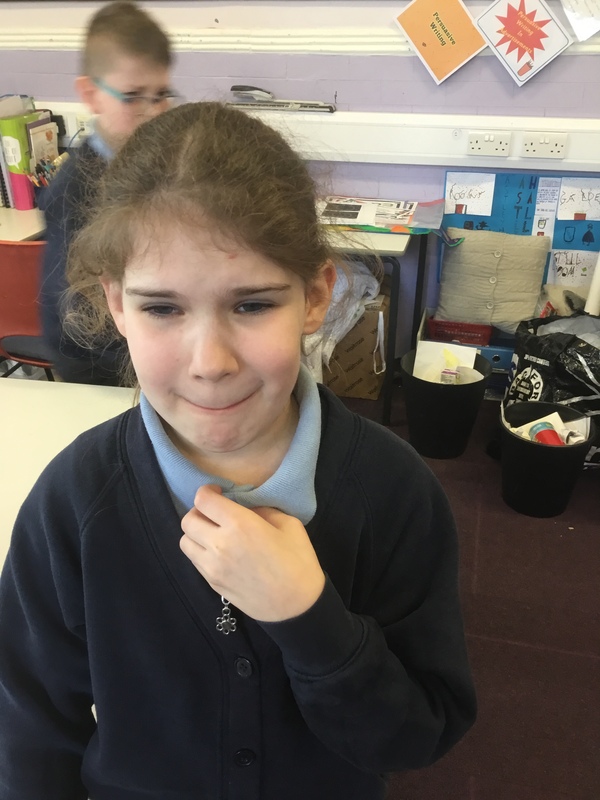 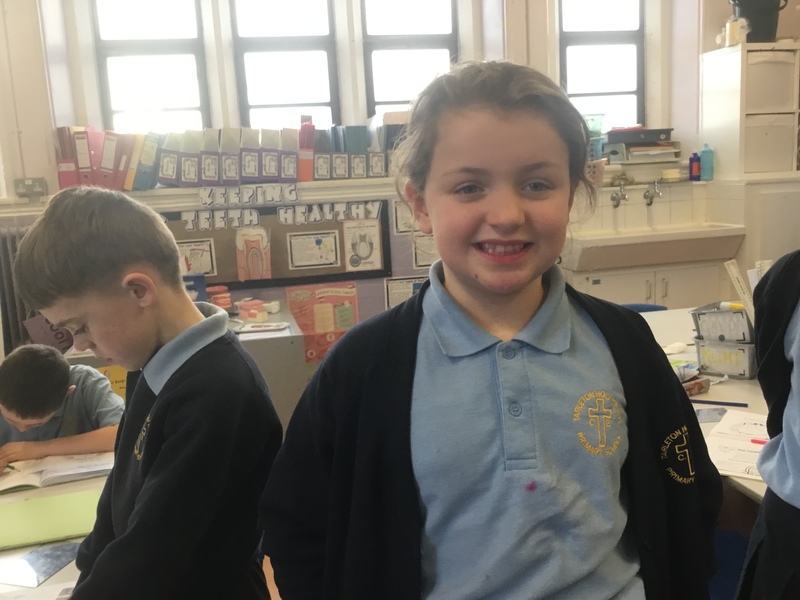 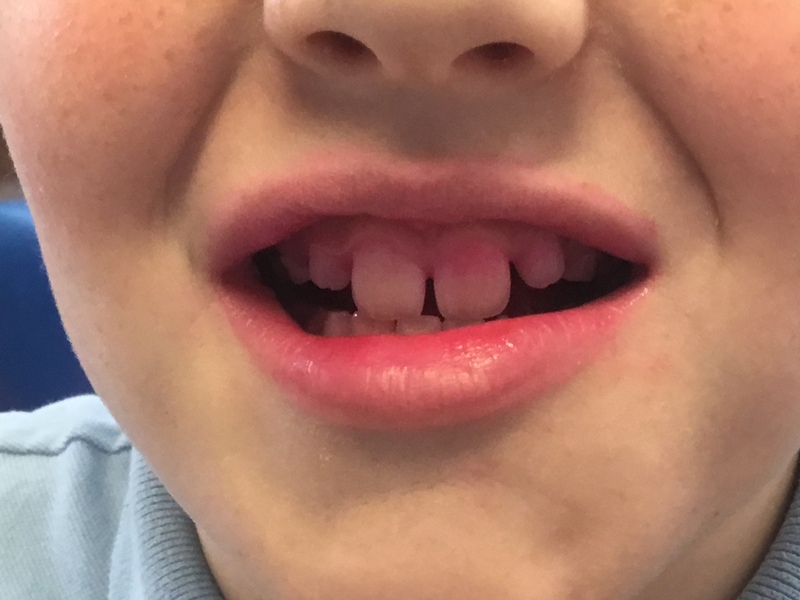 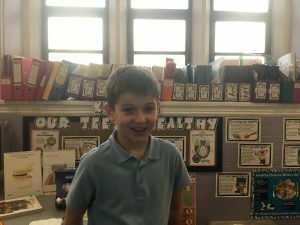 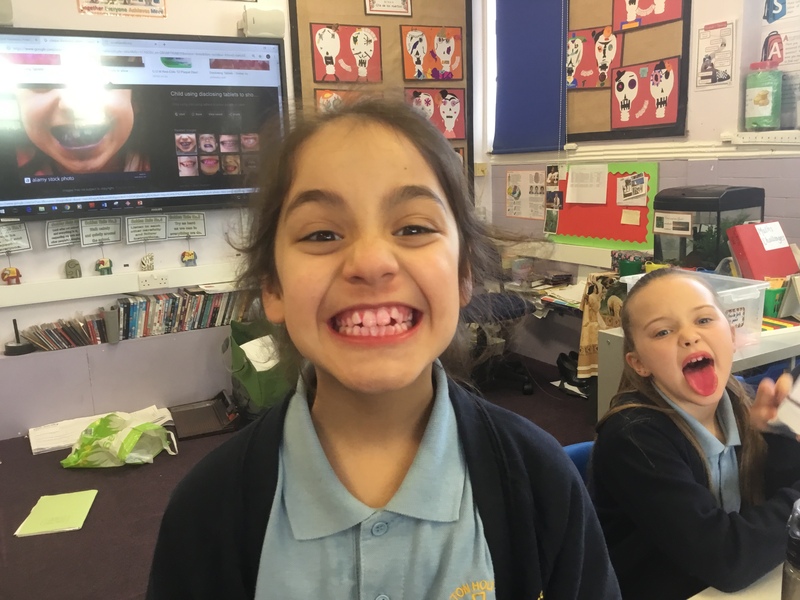 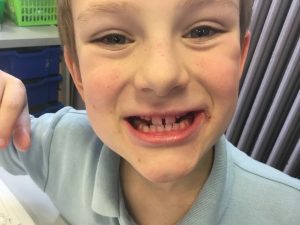 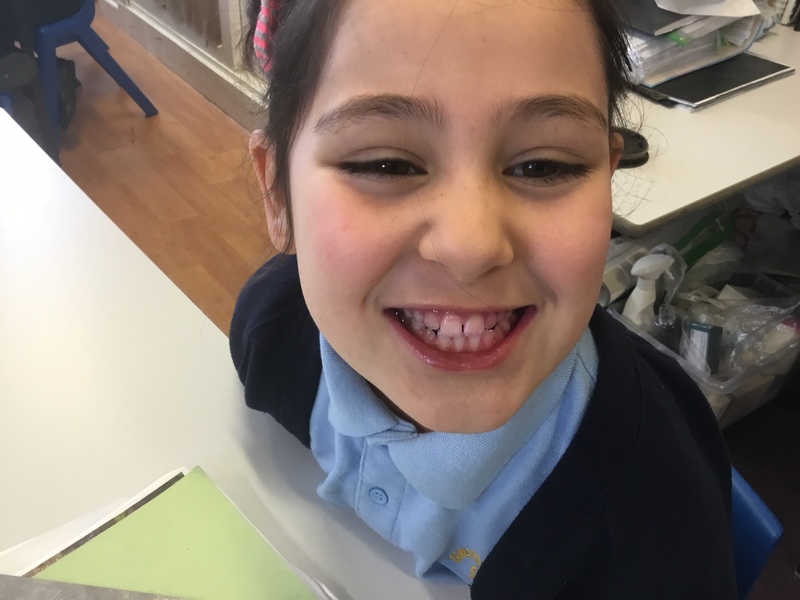 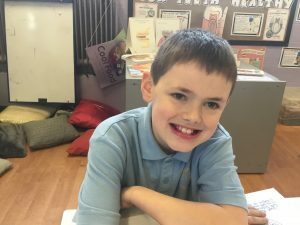 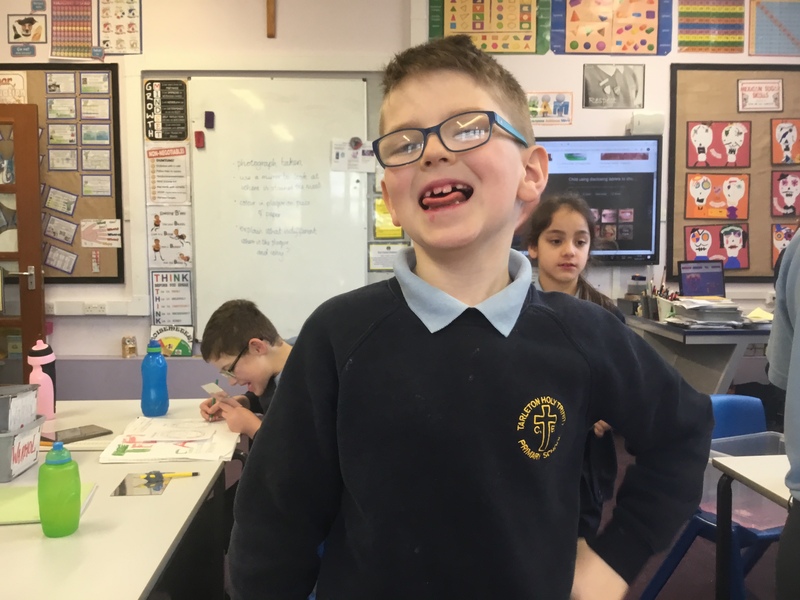 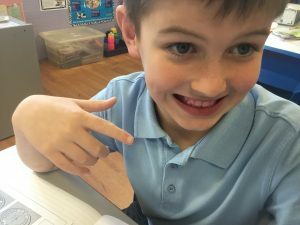 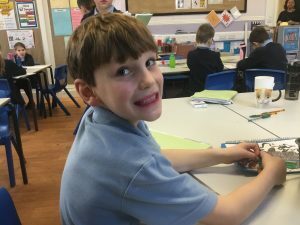 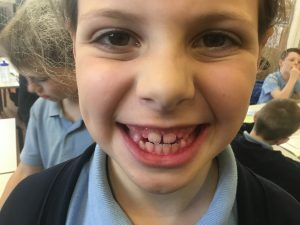 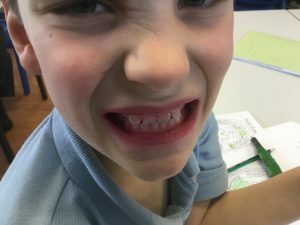 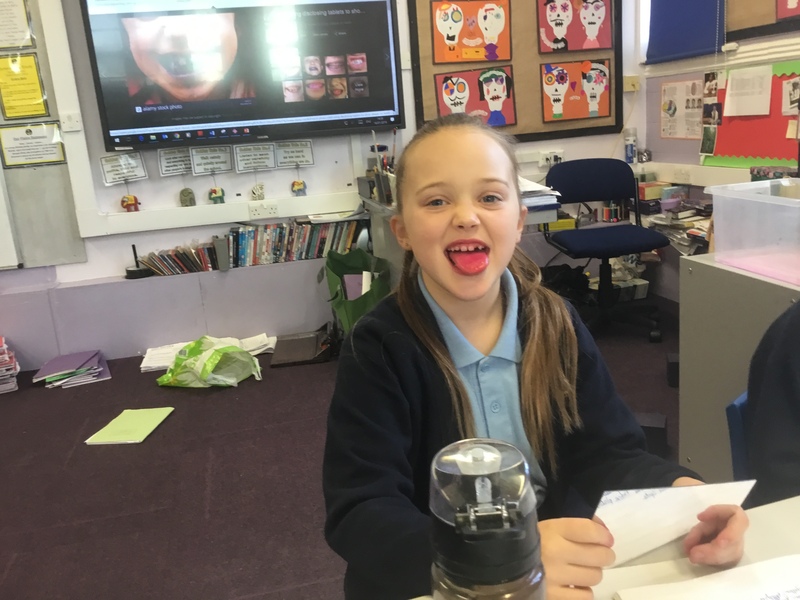 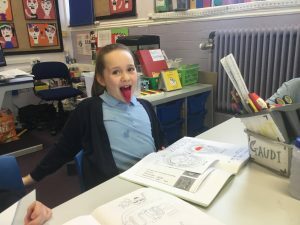 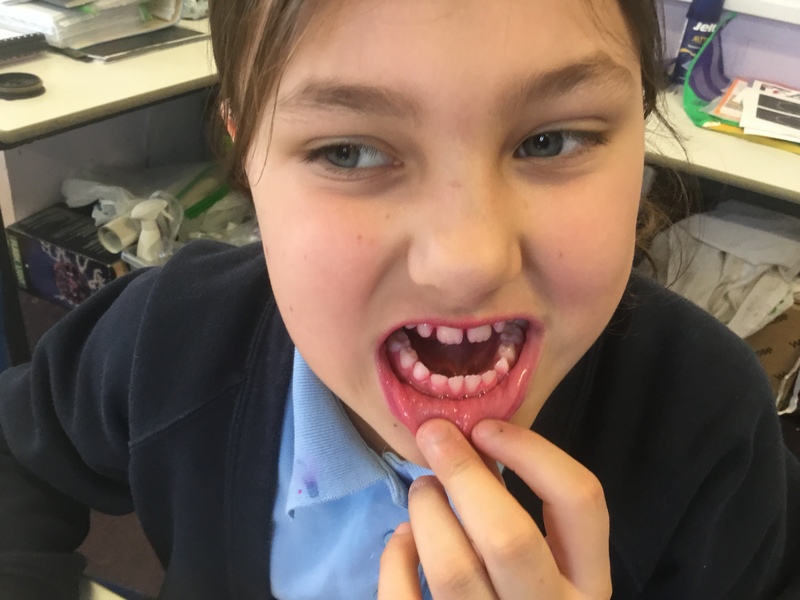 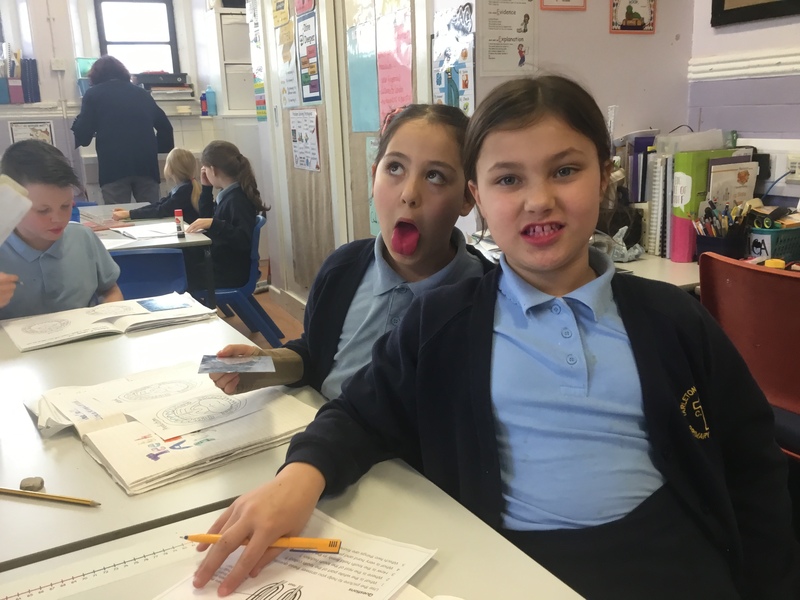 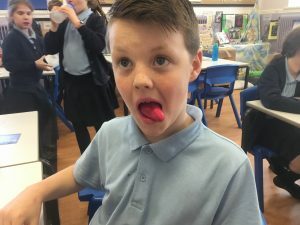 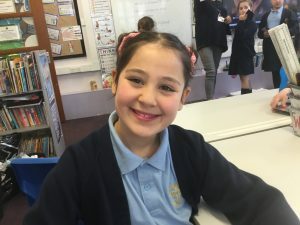 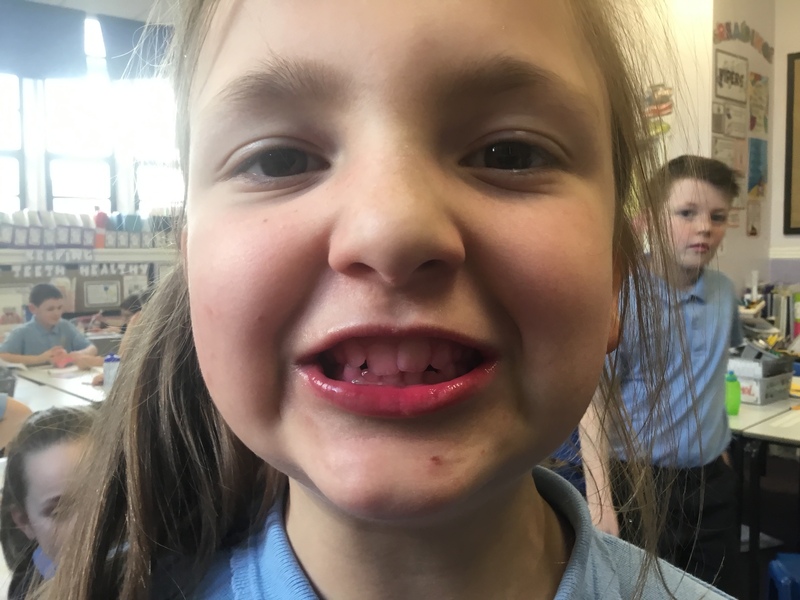 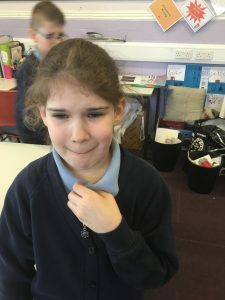 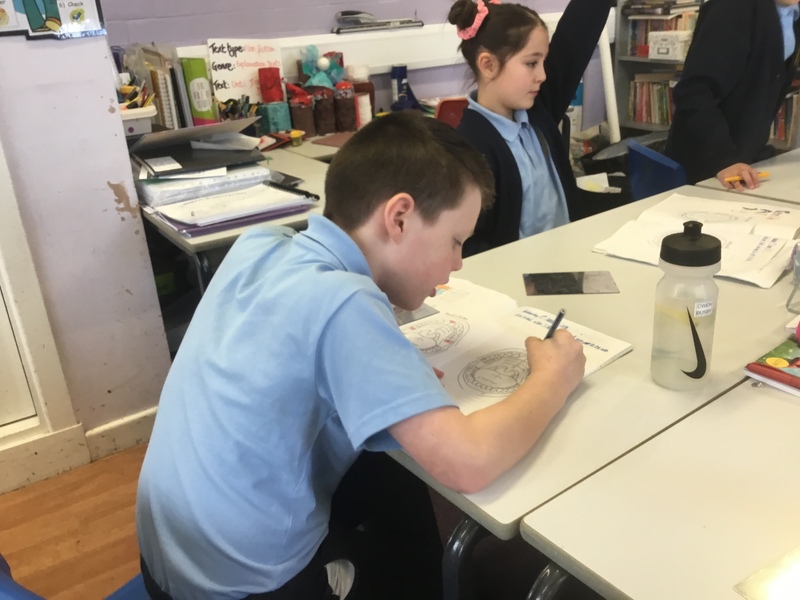 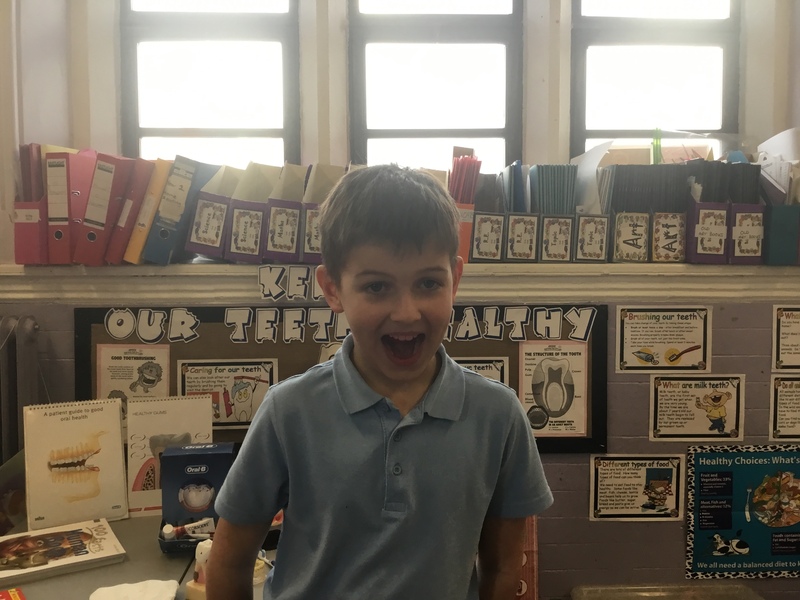 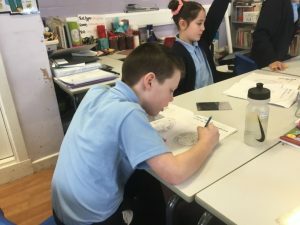 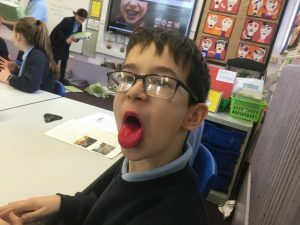 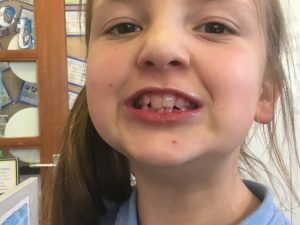 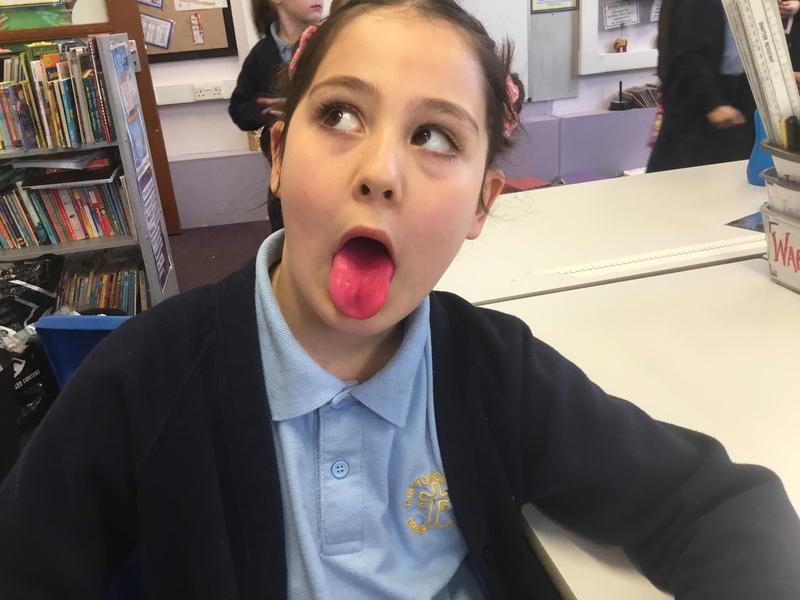 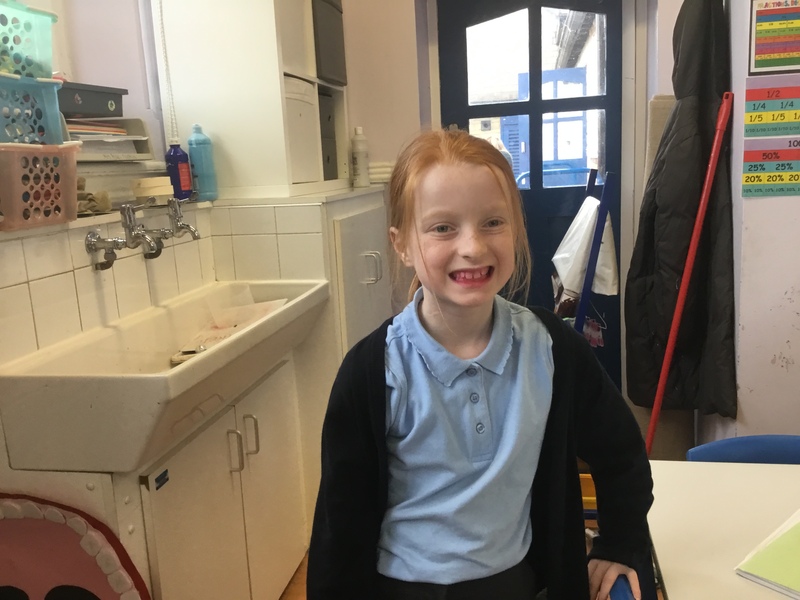 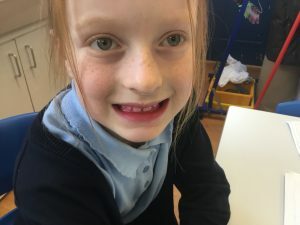 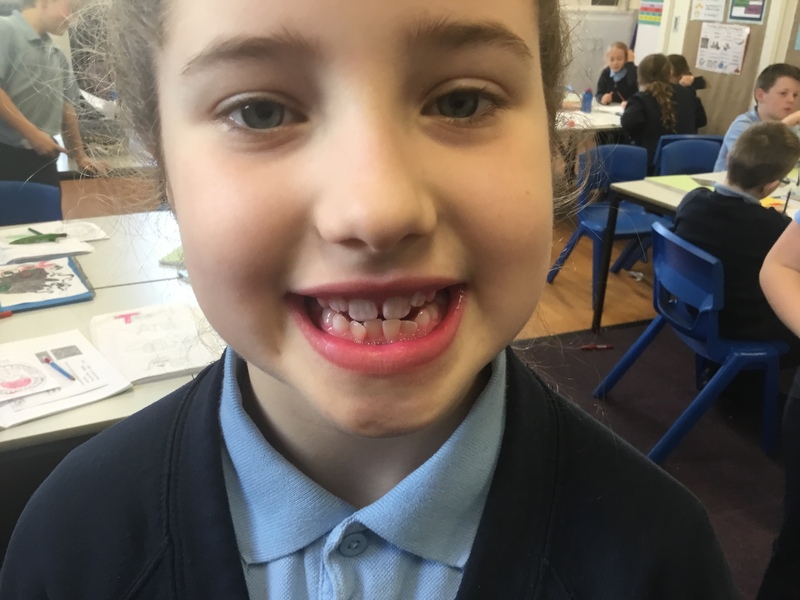 In year 4 we conducted a science experiment where we used plaque disclosing tablets to identify areas on our teeth that had collected plaque during the day. 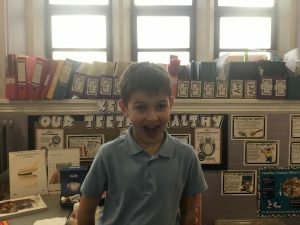 It was a messy and enlightening experience! We spotted quite a few areas on our teeth which we had missed – mainly the parts which we realised were difficult to reach with our toothbrushes. 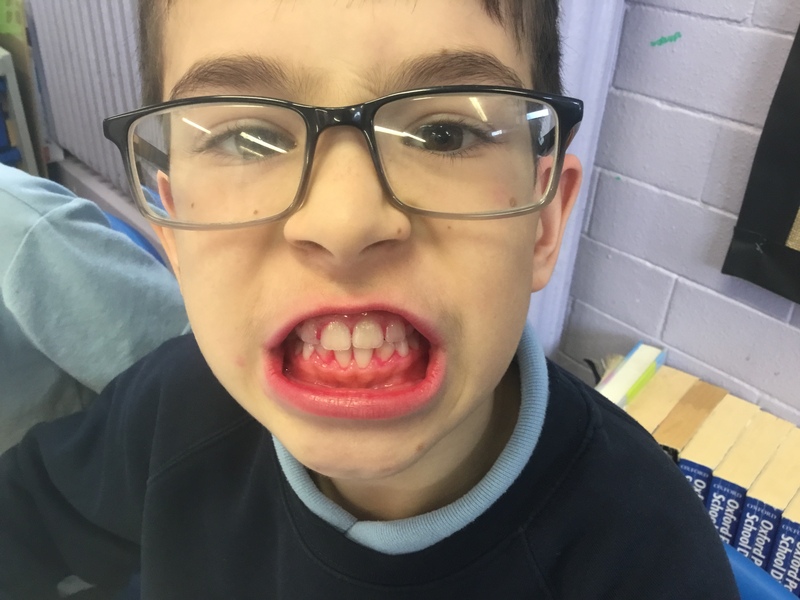 We learned that we need to concentrate on cleaning our teeth in these particular areas in a circular motion. 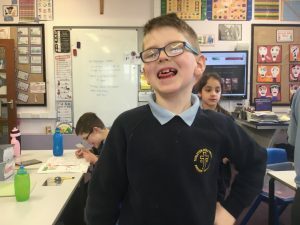 Many thanks to Miss Atkinson, Luca’s mum, who is a dentist at Hesketh Lane Dental Practice who provided the tablets and lots of really great resources for our topic. We are looking forward to her coming in to our class soon to help us learn more about this topic.